One of my favourite things to do with my girls in the school holidays is to make frequent trips to the library. 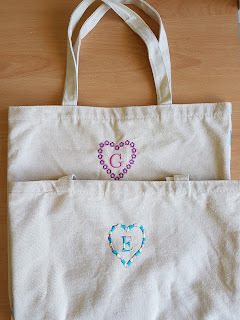 This year I decided to make them each a special library bag (so I'm not lugging all the books!). 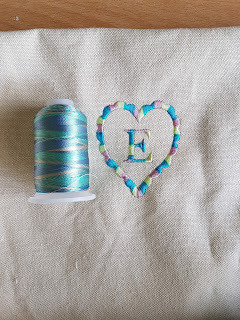 To be honest, I am SO thrilled that I can now do embroidery (monogram EVERYTHING!) with the Designer Jade 35 that I am looking for things to embroider! The construction of the bag is really simple. 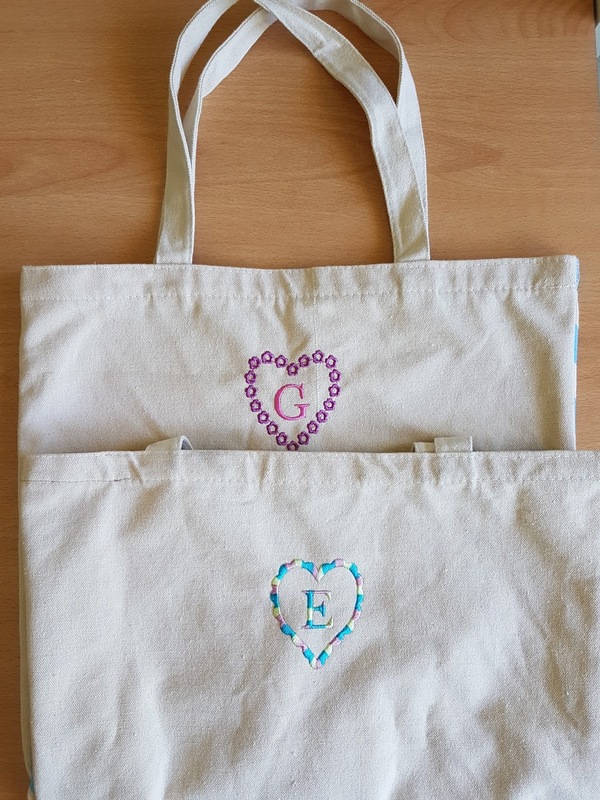 This bag is based on the larger sized picture books my girls like to borrow from the library, but you can size yours to meet your needs! Head over to Husqvarna Viking Australia's blog to get the details on how to make this bag! Because I am SO in love with the embroidery features of the Designer Jade 35 I added a personalized embroidery for each of my daughters. We had so much fun sitting at the computer together, looking at all the designs and fonts they could choose from (free software that comes with the Designer Jade 35). You simply save your design to the included USB and then plug it into the machine (SO easy!). Being girly girls they both wanted heart designs! They then selected their own thread colours for the embroidery. A little tip for my fellow newbies to machine embroidery: embroider the bag before you sew it together! You may roll your eyes and give me a big "well duh! "...but hey, I'm just learning! And having SO much fun in the process!